Muchables offers a wide range of chewelry designed just for kids! 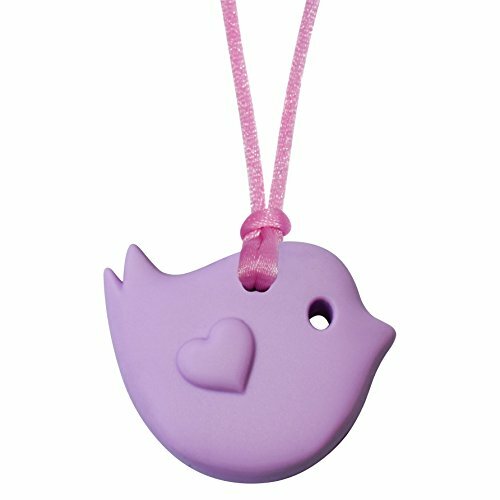 The Little Bird Pendant is 4.5cm x 3.6cm x 1.3cm wide. This product is designed for light chewing as the tail can be ripped off. Please consider our Yummy Gummy or Donut Pendants for aggressive chewers.